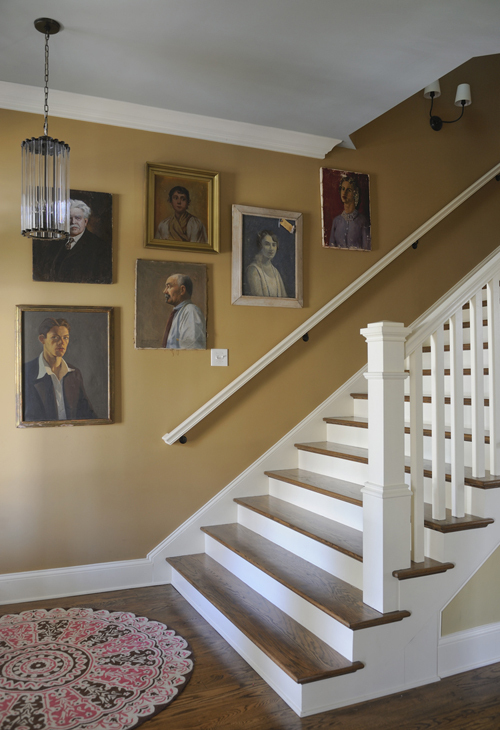 Last week, my friend Christine sent me a link to a lovely home she photographed in Nashville last year, owned by Interior Designer, Anna Forkum. She thought it may be a nice fit for Sweet Peach and of course, she was right. It's a gem. What I appreciate with any interior designer's work is a home that feels personal, unexpected and thoughtful but also a bit untamed, lived in and loved. Anna achieves that in spades. 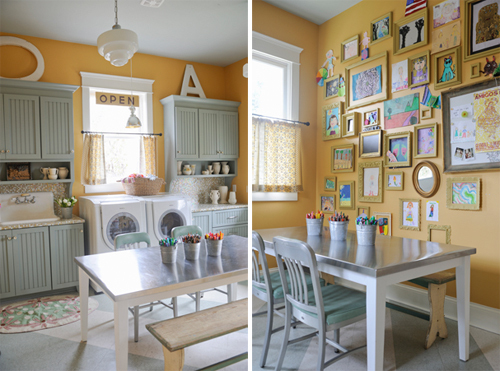 I love the laundry room area which includes a collection of her daughter's art. Anna, "I find junk store frames and paint them all the same color. Then add as she produces!" The indestructable stainless steel table works perfect as an art space for her daughter and all the little ones who come to visit. Just as stunning as each room is the photography taken by Christine Anthony and Owen Masterson. Christine, "What we wanted to capture in Anna's home is her use of dark, deep rich tones and European styling. It's sophisticated yet there's a playful element at work in her choice of furniture, art and her mix of patterns, textures and color." When I asked Anna how she wanted her home to look and feel, she replied, "To be restful and recharging for ME...I know the colors and patterns are not for everyone but it energizes me. I have filled my home with things that I love, which is constantly changing as I try new things and colors. Sometimes I feel like a mad scientist - the ideas in my head are exhausting and the day is too short to get a tenth of them out. I see the possibilities in so many things." Anna offered all of us some great advice if and when we work with a designer, "Make sure they ask you how YOU live, what do you need and want out of a space or even if you need it!" I'm drooling over this gorgeous staircase with that incredible rug and mix of interesting, engaging paintings that I'm sure Anna got from here and there over the years...each one with a story to tell. As Anna shared, "Beautiful spaces do take time." 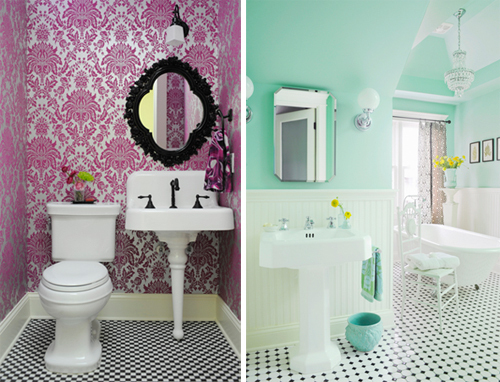 Oh how I want these bathrooms. The wallpaper to the left is from Graham and Brown. 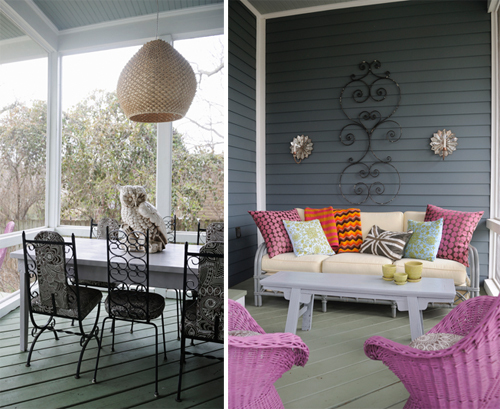 When you have a room soaked in natural light, it's so nice to play with color.